First of all, the reason I was compelled to write to you was because of the wisdom that saturated your site. Never before have I come across a 'spiritual' website that is so profound, so comprehensive and so practical too! You	demonstrated your calibre by writing with such loving acceptance. Believe me, there are many so-called 'spiritual teachers' out there who wear a loving facade, speak in caressing tones, and use impressive 'new age' terminology, yet when it comes to the nitty-gritty, they are just narrow-minded egotists. Many terminated their 'friendship' with me when I disclosed/told them I was a transsexual. We know that no one is in no position to judge the journey of another soul. We know that many gender benders are incarnating at this time to help the world to be more open hearted and accepting, to help people look beyond physical exteriors to see the One Spirit that dwells in all... I know Am essentially neither man or woman; I Am Spirit. This physical 'costume' is only temporary; a fleeting experience in My infinite journey through eternity (for more on a Soul's journey, click here). By searching inwards to discover what I was, I ended up transcending gender roles and discovering True Self, which is Pure Consciousness, pure Spirit. I'm not completely healed. I still have alot more self love to cultivate, but I'm getting there. Your writings on connecting with the Higher Self are so important. I love the exercises you provide (for these exercises, click here). 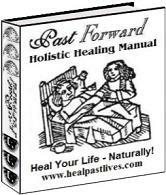 I also appreciate your writings on past life healing (for an overview of Past Life Healing, click here). I think many people make the mistake of dwelling on past life information just for the sake of curiosity. Looking at past lives should be done with a purpose, and that purpose should always be for learning and healing, not for idle curiosity or for hearing about glamorous identities we may have been just to inflate our current egos. I am glad your website handled this subject with wisdom. One of my most recent lessons has been the importance of remaining grounded. One the greatest things I learned was that we must love ourselves for WHO we are, which is an individualized ray of God's consciousness, or the 'God within'. Spirit identification is vital for true self acceptance, however, it is important that we do not focus so heavily on our spiritual identities that we end up becoming far removed from our 3D existence and lose balance. In your quest for Self Realisation, you cannot meditate so much that you end up stepping out of this world and thus turn away from life's lessons. We have come here with a purpose, and we need to fulfill our contract. We can only do that by living. We must remain grounded in the reality of our lesson and of our dimension. There is nothing sacred about escape. It is easier to leave our bodies than to stay in them! This was quite an important lesson for me in my journey to self acceptance. I loved when you said in your website that the fact that we are incarnate 'is in itself an act of bravery'. This is so true!!!!!! It takes a lot of courage to live in this dense plane, especially when	you have planned a very challenging life for yourself AND especially when you happen to be a sensitive/empath. I am increasingly aware of the synchronicity in my life, and I must say that your website came at the perfect time. (Actually, I think it caught me with a psychic lasso and hauled me in!!!). I am always lead to information and books and written material that seems to reach out like hands to pull me further along my path. Your website was definitely one of those helping hands this time!! God bless you for your wonderful work. Thank You! Floods of Love and Light! Your brother/sister in Spirit, Eric/Madeleine"